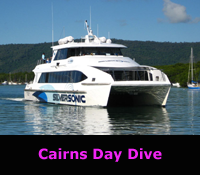 Day dives to the Great Barrier Reef are available from the Queensland ports of Airlie Beach, Cairns and Port Douglas. 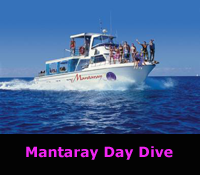 There is also an option in Airlie Beach for a Whitsunday Islands day dive on the fringing coral reefs of the various outer islands in the Whitsundays group. This dive trip includes a visit to the legendary Whitehaven Beach and Hill Inlet. 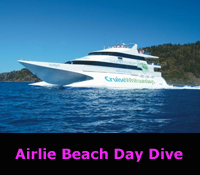 See also Getting to Airlie Beach for transport tips. Port Douglas and Cairns are only a short distance from the Great Barrier Reef. 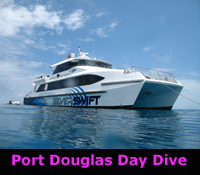 The Silverswift and Silversonic crews will ensure that you have a fantastic day of diving, snorkelling and getting totally immersed in the beauty of the Great Barrier Reef. Also see Getting to Cairns for transport tips on getting to the region.